THIS IS THE AMERICAN DREAM. MODEL HOME The upgrades in this model condo features slate tile in all downstairs. 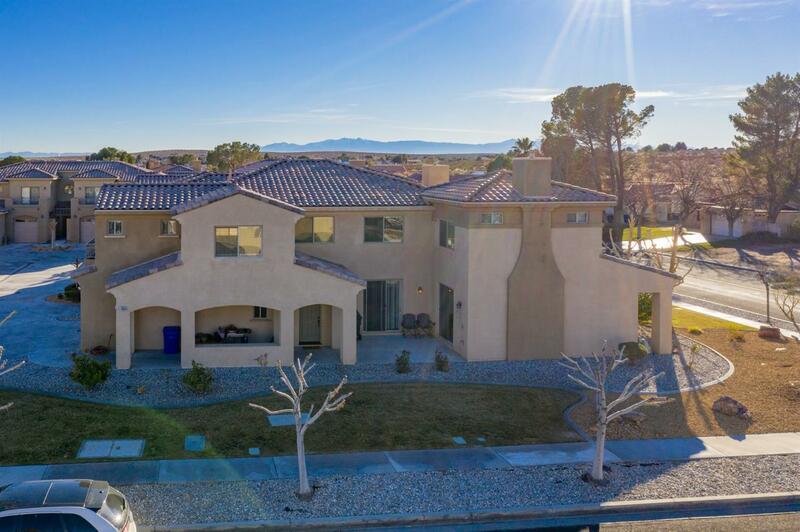 A large open kitchen with beautiful granite counters, large pro-series range, new refrigerator, pantry with roll out drawers, lots of storage and counter space.Livingroom and dining area features very large sliding patio doors providing lots of light and a great view of the desert. A cozy fire place for those romantic evenings. large half bath downstairs.The upstairs has 3 good size bedrooms and 2 bath. large master suite with soaking tub and separate shower, two vanities, large walk-in closet with shelving.The laundry is also upstairs. upgraded quality carpet and designer wall paper, almost $40, 000 in upgrades. Two car attached garage, two patio's and a shared boat dock The amenities Silver Lakes offers includes free golf, fishing, boating, clubhouse, gym and much more. This lovey condo is a pleasure to view. Directions: Vista To Lakeview Right To Silver Lakes Parkway Right To Nautical First Unit On The Corner.